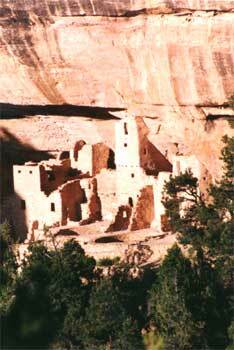 In southwestern Colorado, the pottery of the prehistoric culture known as the Anasazi (ancestral Puebloan) and many years of archaeological research, experimentation, and the development of an authentic prehistoric technology model have helped form a basis for museum quality replica pottery. A curriculum of courses and workshops has also been developed for clay enthusiasts and experimental archaeologists. Additionally, we create authentic interpretive exhibits for museums and institutions nationwide and abroad. We are dedicated to investigating human connections among diverse early ceramic and other technologies and serve as an interpretive bridge between art and science through multidisciplinary research, educational programs, and collaborations with indigenous peoples. As we have traced the origins of ancient pottery making in the new world over the past two decades our research has expanded to include early ceramics from remote locations in the American Southwest, Mexico, Central and South America, and Puerto Rico. Current studies include the Neolithic ceramics of Asia Minor. Ancient Arts® is dedicated to helping protect our threatened archaeological heritage through educational programs and by providing scholars, educators and collectors with an alternative to owning artifacts.